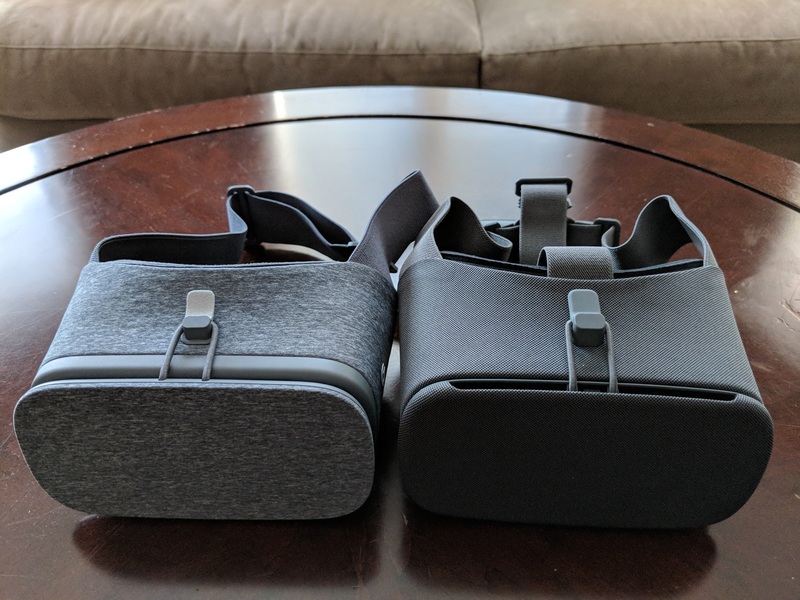 When I reviewed the original Daydream View headset, I called one of the “best phone-based VR systems I’ve used” and the same is mostly true about the updated 2017 version of the Daydream View apart from a few things. The Daydream View (2017) has been given a slight redesign from last year’s model. It is now made from a new “breathable” fabric instead of the sweatpant like material of the previous model. The outside of the headset has more of a textured feel to it. There is also now a top head strap adjustment, for better comfort and fit. The Daydream View (2017)’s field of view and lenses have been made wider to accommodate larger Daydream-ready phones such as the Pixel 2 XL, Galaxy Note8, Galaxy S8 & S8+. It also allows users to become more immersed in the VR content. This year’s model also adds a heatsink to the headset, so your phone won’t get as warm when you’re using it for VR. Because of the heatsink, the controller no longer can be stored inside headset, it now attaches to the back of the head strap. The controller for this year has been given a very small redesign, it still looks like last year’s model but some of the buttons has been raised or lowered. Google now does not include a wrist strap for controller, which it did for last year’s model. It’s kind of disappointing that Google did this, the controller for this year, still has the connections for where the wrist strap would go. 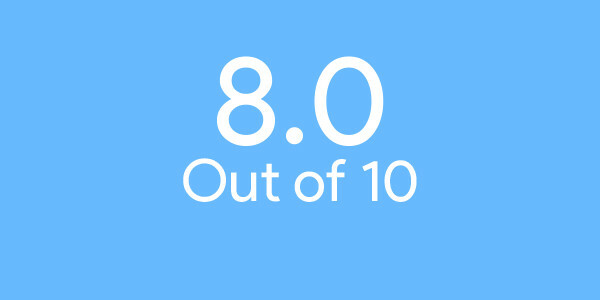 At least the controller still charges over USB Type-C. 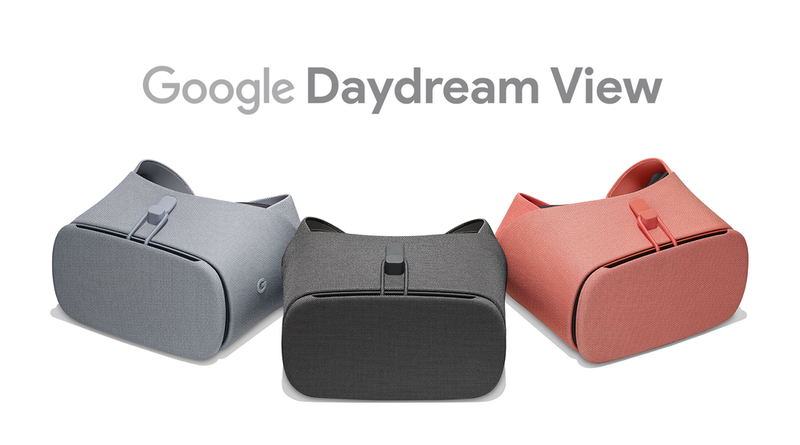 The Daydream View (2017) is available in three colours, Charcoal (black), Fog (grey) and Coral. I was able to test out the Charcoal version of the Daydream View (2017). 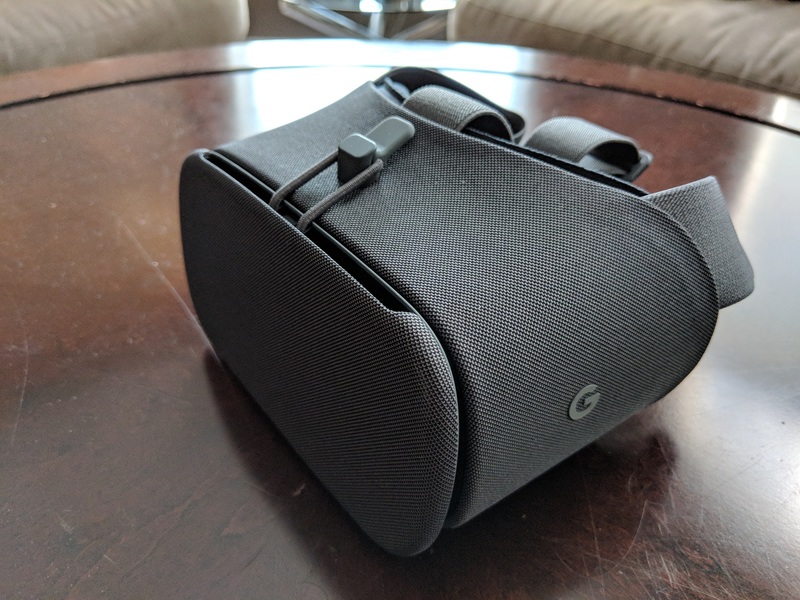 The Daydream View (2017) is available from the Google Store, Best Buy Canada and carrier stores for $139 CAD ($99 USD). That’s a huge jump considering that the Daydream View from last year, was $99 CAD ($79 USD), the only things that Google added to the headset this year was, the top head strap, heatsink, textured outside and that’s it, that isn’t that much to warrant a $40 price increase. 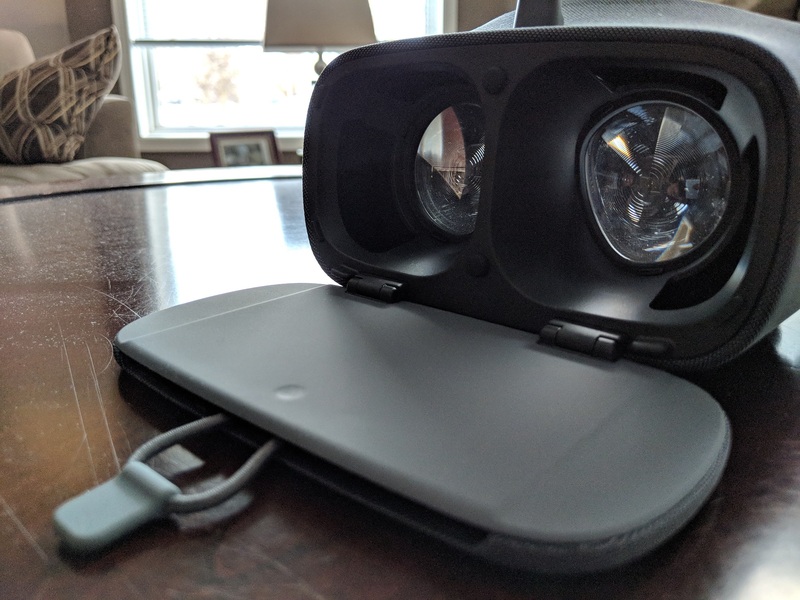 It is still cheaper than other phone-based VR headsets on the market like the Samsung Gear VR ,which costs $199 CAD, but at least when Samsung introduced the new Gear VR with controller, the price only went up by around $20. The software experience hasn’t changed all that much. Google has added a few features such a being able to cast what you’re seeing to a Chromecast but that’s about it. 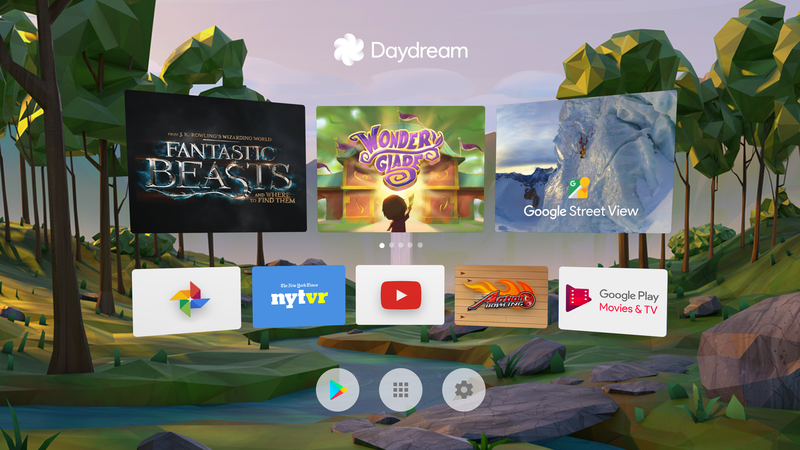 To enter Daydream, all you have to do is pair your Daydream controller to your compatible phone then place your phone into your headset and Daydream will automatically start on your device. Since introducing Daydream last year, the number of apps and games for the platform has increased significantly. It’s in the hundreds, so there is quite a bit to choose from, either free or paid. 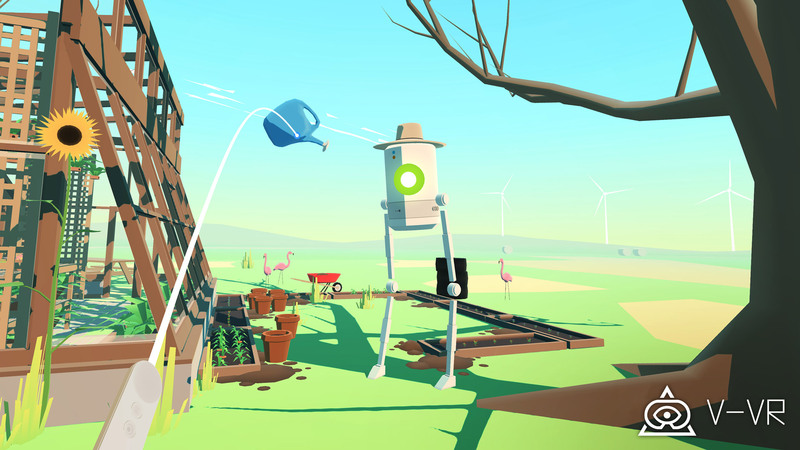 Some of the games that I played includes Virtual Virtual Reality that has you putting on a VR headset in VR to “escape your manager and go deeper into nested virtual realities.” This game is a lot of fun to play but is a bit pricey at $11.99 CAD. So Let Us Melt is a visually stunning VR experience. There’s also Netflix VR and Google’s Spotlight Stories and of course YouTube VR. 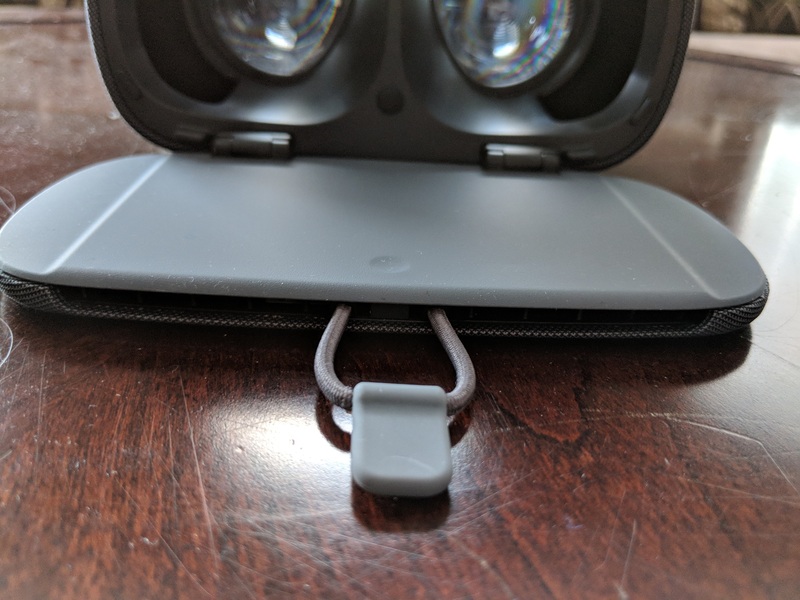 In terms of battery life, my Pixel 2 XL’s battery only went down by like 10-15% while using the Daydream View (2017), and thanks to the headset’s heatsink, it allowed me to play for longer, without worrying that the phone would overheat. Back at Google I/O 2017, Google had announced Daydream 2.0 Euphrates, which was a revamp of the platform. It would bring features such as Casting your screen (which has been added), a way to see notifications, screenshot/video sharing, watching YouTube VR with your friends and more. Google said Daydream 2.0 would come by the end of the 2017 but 2017 is already over and Google hasn’t said anything about the upcoming revamp. 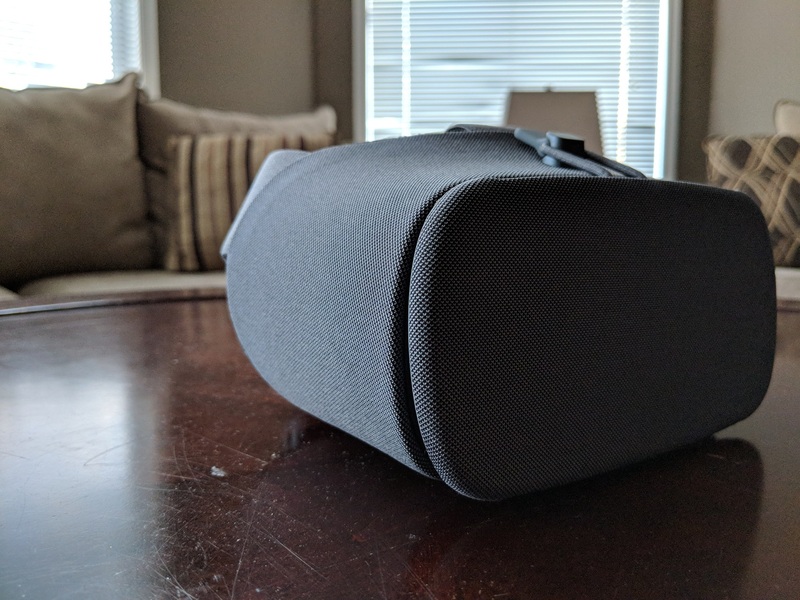 Overall, I really liked the Daydream View (2017), it improved some of the flaws from the previous models but also left out a couple of things while also becoming significantly more expensive. The Daydream View (2017) is only really worth it if you have a bigger Daydream-ready device such as the Pixel 2, Pixel 2 XL, lG V30, Galaxy Note8 or Galaxy S8 & S8+. If you have a Google Pixel or Pixel XL, then last year’s headset should do you just fine.